Too Cool Alaska Special—15% Off Rebate! Valid July 19 - 30, 2018. See Exclusive Offer Details. Shop My Online Store & Use Host Code! I've been having fun creating some fun fold cards that showcase our gorgeous Designer Series Papers. When I was searching for some ideas a came across a cool fancy-fold card by Kate Morgan that does a fantastic job of showing off the double-sided papers in Nature's Poem DSP. I couldn't wait to duplicate it and I loved it so much I ended up making them for our Too Cool Team swap in July. 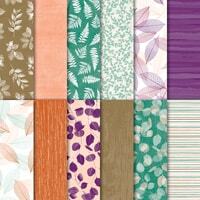 Don't forget the Nature's Poem is part of this month's amazing Designer Series Paper promotion! Stock up for your fall cards! CASEd from Kate Morgan at Craft With Kate. Once you create one of these cool fun-fold cards, you'll want to try it on all of your favorite papers! I love how it shows off both sides so beautifully! Background Basics—I began by doing an exact CASE of Kate's card because I adored it so much! The card starts with a 12" x 5-1/2" piece of Designer Series Paper scored with the Simply Scored tool at the 1-3/4", 4-3/4" and 7-3/4" marks. Fold the DSP accordion-style so that the it shows the patterns you want exposed and crease with a Bone Folder. To give the card so stability, I adhered the back onto a 4-1/4" x 5-1/2" piece of Soft Suede cardstock. I also secured the front-most flap to the next fold with SNAIL to make a sturdier front flap for the sentiment. Focal Point Stamping—I stamped the Rooted In Nature sentiment in Soft Suede ink onto a 2-1/2" x 2-1/2" piece of Whisper White cardstock, then mounted it onto a 2-5/8" x 2-5/8" layer of a Soft Suede with SNAIL and popped it up onto a 3" x 3" Grapefruit Grove layer. The whole piece was popped up with more Dimensionals onto the front card flap. I stamped the Rooted In Nature tree in Crumb Cake ink onto Whisper White cardstock, then die-cut it with the Nature's Roots Framelits and adhered it with SNAIL onto the side of the sentiment. 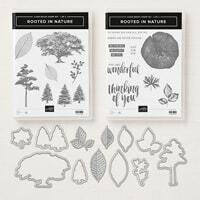 Bundle It & SAVE—Purchase the Rooted In Nature stamp set and the Nature's Root Framelits together in a bundle to save 10%. Inside The Card—The card pulls open like a Z-Fold card, and I added a 2-1/4" x 5-1/4" piece of Whisper White on the inside for the message. 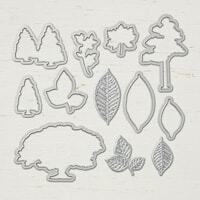 Lovely Leaves—I created some cute little leaf embellishments using the Nature's Root Framelits. First the leaves were die-cut from Soft Suede and Grapefruit Grove cardstock, then I ran them through the Big Shot again using the matching embosslit that comes in the set. I love the cool vein texture that it creates! 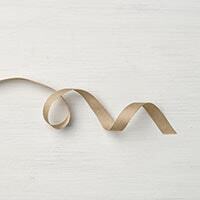 They are attached with Glue Dots and adorned with a Grapefruit Grove Nature's Twine bow, also added with a Glue Dot. Two Cool—I tried a second card with another pattern of the Nature's Poem DSP, keeping most of the elements the same. This time the sentiment is stamped in Tranquil Tide ink and I included a Tranquil Tide layer mat. I also tried the Soft Suede Twine on the leaves. Create 4 cards with envelopes for $16, or it's FREE when you place a minimum order at the event. Tomorrow is the day! The Holiday Catalog will officially be here and you can purchase new items from the catalog beginning at 5am ET. I'm sending out another batch of Holiday Catalog requests today, so if you would like one, simply contact me with your address. Today, I'm sharing another fun card design from my September Stamp-of-the Month Class Kit featuring Coffee Café! LAST DAY To Redeem Bonus Coupons—If you earned any $5 Bonus Coupons with your July order, you only have until the end of TODAY, August 31, 2017, to use those coupon codes on your online order. You should have received the code(s) via email. To redeem, simply click on the "Manage Coupons" button on the Shopping Bag page and type in the code with hyphen. 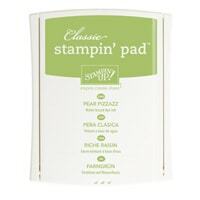 If you did not receive your coupon, or have any trouble redeeming them, you can contact me or Stampin' Up! directly at 1-800-STAMPUP. Inspired by Lynn Starzl at Stamping With Lynn. The Coffee Café stamp set is perfect for coffee enthusiasts, and what more perfect card for the coffee drinker than one that holds a coffee gift card! I love this easy-to-make gift card holder with a fun opening! My Stamp-of-the-Month participants will make the first card shown below! Background Basics—The card base starts with a 11" x 4-1/4" piece of Early Espresso, scored along the 11" side at the 2" and 5-1/2" marks. I adhered a 3-1/4" x 4" piece of Coffee Break Designer Series Paper to the card front for a pretty dotted background. Inside Sentiment—The shortened card front allows the right side of the inside card to show through. I stamped the Coffee Café sentiment in Garden Green ink onto a 5-1/4" x 4" layer of Whisper White to show. The coffee beans image is stamped in Early Espresso. Gift Card Holder—Inside the card, I notched out the 2" flap with the 3/4" Circle Punch, then used Tear & Tape on the sides to create a pocket for a gift card. If you don't want to use the card as a gift card holder, you could simply trim off that extra 2" flap. Coffee Cup—I stamped the the Coffee Café coffee cup outline in Early Espresso onto the Soft Sky chevron pattern from the Coffee Break DSP. 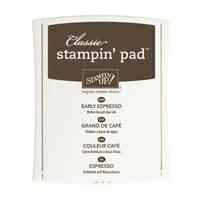 I also stamped the lid in Early Espresso onto Soft Sky card stock. Both are die-cut with the Coffee Cup Framelits. Next, I used the same die set to cut out the cup wrapper from another pattern from the DSP pack. Finishing Touches—Before popping the layers up with Dimensionals, I wrapped some Linen Thread around the cup a couple of times and tied a little knot. Next, I die-cut a little Pear Pizzazz hear using the Sweet & Sassy Framelits, then stamped a "hi" in Early Espresso ink on it and popped it up with Dimensionals. So cute! Two Cool—The second version has an Old Olive card base and I used the Soft Sky pattern Coffee Break DSP for the front. This time I used the dotted pattern for the cup, Old Olive card stock for the lid and Garden Green card stock for the heart. You'll also notice the the wrapper is plain Whisper White card stock that I cut and embossed with the embosslit from the Coffee Cup Framelits. I love that corrugated texture that the die adds automatically to the shape! It looks just like a real coffee cup wrap! Are you from the Fort Wayne, IN, area? If so, I'd love for you to join me for my "Last Thursdays" monthly card class coming up this week on Thursday, June 29! We'll be using tons of brand new products from the NEW 2017 Annual Catalog! This class is for ANY level stamper from beginner to stamping enthusiast! Bring a friend who is new to my classes and you can both select 5 cards from my card rack! Today, I'm sharing one of the cards we'll be creating at the class! Create 4 cards using Too Cool techniques, plus envelopes. This month, we'll be featuring ALL NEW catalog items! This class is perfect for any level stamper, but it's designed for new stampers to get a feel for the basics and try out some simple, but cool, techniques! Just Breathe Masked Square Card—Sponge a cool background! Happiest Days Watercolor Card—Watercolor a sweet birthday cake! Home Life Congratulations Card—Stamp an awesome 3-step image! Coffee Café Gate Fold Card—Trendy coffee theme with a fun opening! Coffee Café Off-Set Gate-Fold Cards! I couldn't wait to play with the new Coffee Break suite from the catalog, and I'm not even a coffee drinker! 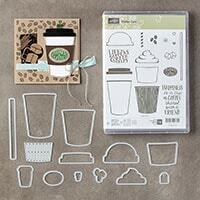 The images are trendy & fun and the coordinating Coffee Break Designer Series Paper has some cool coffee patterns. Gate-Fold—My first card, and the card we'll be making at the class, begins with a 5-1/2" x 8-1/2" piece of Soft Sky card stock. I scored it along the 8-1/2" side at the 2-3/4" and 7" marks to create an off-set gate-fold card. 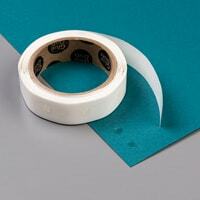 TIP: After scoring, fold the sides in and line up the edges flush before finishing the crease with a Bone Folder. This prevents a gap between the gate panels. Background Basics—I adhered a 2-1/2" x 5-1/4" piece of Coffee Break DSP to the left side panel and a 1-1/4" x 5-1/4" pattern on the right side panel. I wrapped some of the pretty 3/8" Classic Weave Ribbon. 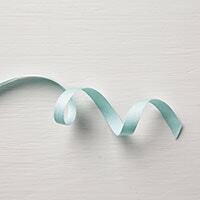 OOOhhh, I love this soft ribbon...it ties so nicely and features a subtle textured pattern. Coffee Cup—I stamped the Coffee Café cup & lid images in Early Espresso onto Soft Sky card stock, then cut them out with the coordinating Coffee Cups Framelits. The Crumb Cake cup wrap was also cut with the Coffee Cups dies, and the die embosses it to give it the texture of a real wrap! Too Cool! 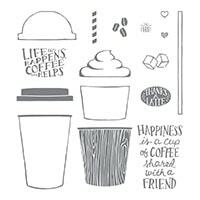 Bundle It & Save—Purchase the Coffee Café stamp set and Coffee Cups Framelits together in a Bundle to save 10% off the cost of purchasing them separately. I popped the coffee cup onto the largest Layering Circles Framelits die in Whisper White, then I attached the circle to the left side gate panel using Tear & Tape Adhesive. Finishing Touches—I stamped the greeting in Pear Pizzazz onto Whisper White card stock then used the Coffee Cups small oval die to cut it out. It's popped up with Dimensionals. 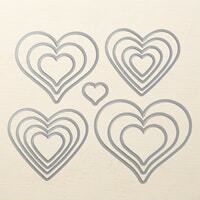 I also die-cut the mini tag with the same die set and stamped it with a Coffee Café Pear Pizzazz heart. I popped that up that small element with the NEW Mini Dimensionals. Did you see that we have those tiny Dimensionals now? LOVE THEM! 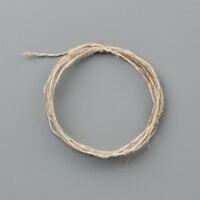 I finished with a small Linen Thread bow, attached with a Glue Dot. Two Cool—My second card has the same off-set gate fold with Pear Pizzazz card stock. I tried a Soft Sky Coffee Break DSP pattern on the right side, and also Soft Sky Classic Weave Ribbon. Coffee Helps—This coffee cup is stamped in Early Espresso onto Sahara Sand card stock. The wrap is stamped in Early Espresso onto Whisper White, then stamped again with a Pear Pizzazz greeting. The tag has a Soft Sky heart on it. 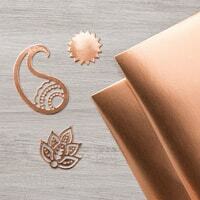 Coming Up On Thursday, May 29—Join us as we create 4 fabulous cards with envelopes. This month we'll feature some of the retiring products for the very last time, plus you may see couple of new catalog sneak peek items, too! It's your absolute LAST CHANCE to order any remaining retiring products from the current catalog! It's time for another Sunday Showcase featuring inspiration from my stamping friends! My Too Cool Demo Team shared some amazing cards at our event last Monday. Today, I'm featuring some of those cards that have some retiring merchandise on them. I've highlighted the retiring items in RED. Many of the items are already sold out, and the rest are available while supplies last through June 4 (or June 1 if they are from the Spring Occasions Catalog). You can see what items are still available on the Retired Stamps List - PDF and Retired Accessories List - PDF. Created by Carmen DeBruce. CASEd from Paula Knall at Knall Crafting.. Color combo: Pink Pirourette, Basic Black and Whisper White. I think this card is simply stunning! Carmen die-cut a window with Apothecary Accents Framelits, then embossed it with the retiring Square Lattice Embossing Folder. The cascade of Petite Petals (wood) flowers is pretty, but it's that texture that makes this card so awesome to me. Bundle It & Save—Purchase the Petite Petals stamp set and Petite Petals Punch together in the Petite Petals Bundle (wood) and save 15%! This bundle WILL NOT be available in the new catalog, but you'll still be able to purchase the items separately. Save by buying them now thru June 1! Created by Peggy Tassler. Color combo: Bermuda Bay, Coastal Cabana, Pool Party, Crushed Curry & Whisper White. The beautiful retiring Eastern Elegance Designer Series Paper sets the color combination for this pretty birthday card. Peggy used the beautiful floral image from Apothecary Art (wood), and die cut the shapes with the coordinating Labels Collection Framelits. Also features: Beautiful Wings Embosslit, Large Pearl Jewels, Stampin' Trimmer, Rotary Addition, Small Scallop Rotary Cutting Blade. Created by Rita Berning. Color combo: Pacific Point, Real Red, Crumb Cake, Silver & Whisper White. What a fun & creative card for the baseball player or fan! Rita used the mini chevron die-cuts from the Circle Card Thinlits to add "stitching" to the ball. The pennant is from Banner Greetings Hostess Set (wood), added to a wooden skewer stick. The background uses a combination of Gorgeous Grunge (wood) and the retiring Off the Grid stamp embossed in silver to represent the dirt on the field and the fencing. Retiring Simply Stars (wood) represent the all-star player! How very clever! Also features: Linen Thread, Hung Up Cute Clips. Created by Peggy Tassler. Color combo: Basic Black & Whisper White. Peggy used the retiring Regarding Dahlias (wood) bloom and sentiment on this bold, black & white design decorated with Kaleidoscope Designer Series Paper. She did a modified "triple-time stamping" technique to create two layers that match up perfectly. Learn how on this Triple-Time Stamping post. Created by Darla Eigenschink, Color combo: Island Indigo, Strawberry Slush, Daffodil Delight, Pumpkin Pie, Pool Party & Whisper White. Darla decorated this cheerful Scallop Tag Topper Punch card with the suite of mosaic products: Modern Mosaic Texture Impressions Folder, Mosaic Madness stamp set (wood), and the Quatrefancy Designer Series Paper. Learn how to make this style of card: Scallop Tag Topper Punch Card. Also features: Banner Greetings Hostess Set (wood), Daffodil Delight Seam Binding. Created by Peggy Tasser. 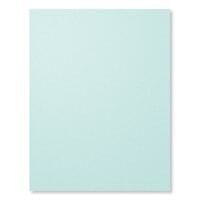 Color combo: Marina Mist, Calypso Coral, Pear Pizzazz, Wisteria Wonder & Whisper White. Here's that Square Lattice Embossing Folder again, making a pretty floral background using the embedded embossing technique. Peggy stamped and die-cut the retiring Secret Garden (wood) images with the coordinating and retiring Secret Garden Framelits. They were mounted on Marina Mist card stock, then embossed with the Square Lattice Folder. It kind of reminds me of an Hawaiian shirt! Haha! Also Features: Fabulous Phrases (wood), 3/8" White Taffeta Ribbon. Created by Peggy Tasser. CASEd from Joanne James at Crafty Owl's Blog. Color combo: Perfect Plum, Daffodil Delight & Whisper White. Check out this cleverness...Peggy stamped one of the splatter images from Gorgeous Grunge (wood) over each of the blooms on the Happy Watercolor (wood) image! Too Cool! 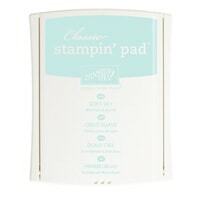 I also love her white, shiny sequin accents, even though they aren't from Stampin' Up! 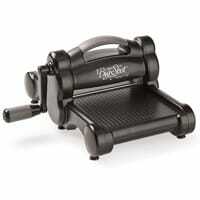 Also Features: Bring On The Cake (wood), Corner Rounder Punch. I love how the lovely Watercolor Wonder Designer Series Paper shows throught the intricate Hexagon Hive Thinlit die-cut front. It's a fabulous look! Kathe added some stamped Vellum butterflies, too, created from the Elegant Butterfly Punch and Beautiful Wings Embosslit. 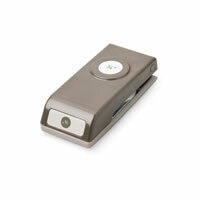 Also Features: Decorative Label Punch, Rhinestone Jewels. Retired Stamps & Accessories—While Supplies Last! 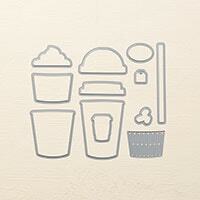 NEW Project Life Product Line—Coming soon! It's time for another Sunday Showcase featuring inspiration from my stamping friends! Today, I'm spotlighting cards created by just one friend, Peggy Tassler. I'm not trying to play favorites or anything, it's just that Peggy has A LOT of cards—she is a cardmaking machine! Every time we get together for an event, she has a whole box filled with new cards to share with us! These are some of her recent cards that feature retiring product. Created by Peggy Tassler. Color combo: Pool Party, Crumb Cake and Whisper White. Peggy is a master at creating pretty sympathy cards! Here she uses the Too Kind (wood) stamp set with a Thoughts & Prayers (wood) sentiment. The Framed Tulips Texture Impressions Folder embosses a pretty border around this two-step flower. Created by Peggy Tassler. Color combo: Primrose Petals, Pear Pizzazz & Whisper White. Another sweet sympathy card using the Simply Sketched Hostess Set (wood). The focal point is colored with a Blender Pen and inks, then accented with Primrose Petals 2012-2014 In Color Designer Series Paper and a Primrose Petals Stitched Satin Ribbon tie. Created by Peggy Tassler. Color combo: Raspberry Ripple & Whisper White. The large butterfly is created with the retiring Beautiful Butterflies Bigz Die. I'm so sad to see this die go—I love those big butterfly focal points! Also leaving is the gorgeous Adorning Accents Framelits borders and matching Adorning Accents Texture Impressions Folders. I'll miss those elegant edges, too! Also features: Beautiful Wings Embosslit, 2012-2014 In Color Designer Series Paper Stack, Bring On The Cake (wood), and Rhinestone Jewels. Created by Peggy Tassler. Color combo: Basic Black, Silver & Whisper White. I love this elegant Beautifully Baroque card created with the split negative technique. She used Black embossing on the Whisper White background, and White embossing on the Basic Black background. Cool! 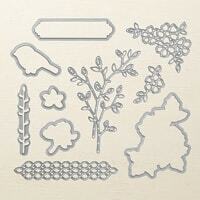 Also features: Teeny Tiny Wishes (wood), Word Window Punch, and Brushed Silver Card Stock. Created by Peggy Tassler, CASEd from Deb Valder at Stamping & Scrapbooking With Deb. Color combo: Basic Black & Whisper White. Here's another black & white card, this time using the retiring Kaleidoscope Designer Series Paper and a fun fold! She used the Envelope Punch Board to create an interlocking File Folder Tab Gate Fold card. Too Cool! I'm gonna have to try this one soon! See how to make it in Deb Valder's video tutorial. Also features: Flower Shop (wood) and Pansy Punch, Petite Petals (wood), Petite Petals Punch, Banner Framelits, Label Love (wood), Artisan Label Punch, and Rhinestone Jewels. Here's a fun collage of elements spotlighting the Watercolor Wonder Designer Series Paper and the short & sweet sentiment from Regarding Dahlias (wood). Also Features: Petite Petals (wood), Petite Petals Punch, Perfect Polka Dots Texture Impressions Folder, Pearl Jewels, Perfect Pennants (wood), Banner Framelits, and Burlap Ribbon. Thanks so much for stopping by today's Sunday Showcase, and a special thank you to Peggy Tassler for allowing me to share your projects! If you like what you see, please subscribe to my blog for daily posts to your in-box. Just click the link above or type your email address in the box in the upper left column on my actual blog page. Have you placed an order for your favorite retiring products yet? The items sure are going quickly this year, especially with the stamps being while supplies last, too. The last day to order retiring items is June 4, 2014. Today, I'm featuring cards recently shared by my Too Cool Demo Team that feature some of the retiring items on the lists. Many are smaller items, but It's nice to give them the spotlight one last time. Look for the retiring items in RED. Created by Peggy Tassler. Color combo: Wisteria Wonder & Silver Glimmer. I love purple, so Peggy's Wisteria Wonder card grabbed me right away! The stunning, soon-to-be-retired Silver Glimmer Paper accents take this card to another level! Have You Heard? I thought it was odd that Silver Glimmer Paper made the retiring list, but rumor has it that we may be getting it from another manufacturer or reconfigured in some way, so it may not be truly gone. I don't have any confirmed inside scoop, so don't hold me to that. We'll find out for sure on Monday when Stampin' Up! is having their first ever Catalog Premiere event simultaneously in 35 cities around the country! I'm not able to go, but several of my team members will be representing the Too Cool team in Columbus, OH! Created by Becky High. Color combo: Island Indigo, Bermuda Bay, Pool Party and Whisper White. I love the ombré effect that Becky created with the retiring Simply Sketched Hostess (wood) set leaves. So pretty and perfect for a sympathy card. It pains me so to see this stamp set retire...<sigh>. Created by Rita Berning. Color combo: Crushed Curry, Coastal Cabana & Whisper White. 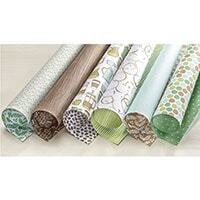 What a gorgeous faux-quilt background! Rita cut squares of the beautiful retiring Eastern Elegance Designer Series Paper, mounted them on a Whisper White card stock foundation, then embossed the entire sheet with the Beautifully Baroque Embossing Folder. I love the "get well" sentiment, from the retiring Perfectly Penned (wood) set, with the "blanket" background...it's snuggle-up, cozy combination. Also features: White Baker's Twine, retired Brights Buttons. Created by Peggy Tassler. Color combo: Daffodil Delight, Gumball Green & Whisper White. Peggy made cute lil' froggie with the retiring Green Gumball In Color card stock! How adorable! He's made with punches from the Large Oval, Boho Blossoms, 1-1/4" Circle Punch, 1/2" Circle punch and the circle from the retiring Itty Bitty Shapes Pack. Also features: Perfect Polka Dots Embossing Folder, Scallop Oval Punch, retiring Polka Dot Parade Designer Series Paper, and retiring Gumball Green Stitched Satin Ribbon. Created by Peggy Tassler. Color combo: Crushed Curry, Basic Black & Whisper White. Peggy also created this darling punch art bee on a background created with the retiring Happy Day (wood) stamp set! Punches used: Large Oval Punch, 1" Circle Punch, retired Ornament Punch, Extra Large Oval Punch. Also features: Vellum Card Stock, Dotted Scallop Ribbon Border Punch, retiring Corner Rounder Punch. Created by Darla Eigenschink. Color combo: Smoky Slate, Raspberry Ripple & Whisper White. Darla created this elegant wedding card using the retiring Card Base Pop-n Cuts Die. I love the little tucked-in corners detail that the die makes! The sentiment is also a retiring Hostess set called Banner Greetings (wood). Also Features: Flower Shop (wood), Petite Petals (wood), Petite Petals Punch, On Film Framelits, retiring 3/8" White Taffeta (all Taffeta is going), Silver Foil and Rhinestone Jewels. Created by Kathe Madsen. Color combo: Strawberry Slush, Pistachio Pudding & Whisper White. 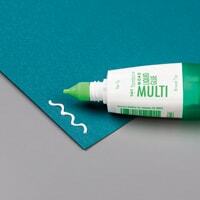 One of the accessories that I'm sorry to see go is the Designer Frames Embossing Folders. Kathe used my favorite oval frame on this card, along with the Petite Petals (wood) flowers. 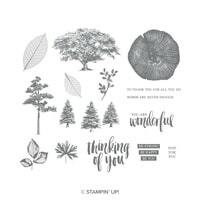 The leaves on the background are from the Simply Sketched Hostess (wood) set. Created by Peggy Tassler. Color combo: Basic Black, Pear Pizzazz & Whisper White. Peggy tried out the Simply Scored scoring technique that I featured on my Simply Scored backgrounds post. She used the retiring Secret Garden (wood) set and coordinating Secret Garden Framelits, which are also retiring. Also features: Bird Builder Punch, Teeny Tiny Wishes (wood). Thanks so much for stopping by today's Sunday Showcase! If you like what you see, please subscribe to my blog for daily posts to your in-box. Just type your email address in the box in the upper left column. Today's featured project is one of the cards you can make with the Peachy Keen Class-To-Go Kit for January's Spring Spectacular Class! Banners are a very trendy look right now, so I couldn't resist trying out some mini washi tape banner accents on this Hello Friend card. Card Base—I started with a Very Vanilla card base and added a 4-1/4" x 2" piece of Retro Fresh Designer Series Paper at the bottom. Polaroid Accent—My favorite die-cut from the On Film Framelits is the faux Poloroid frame! 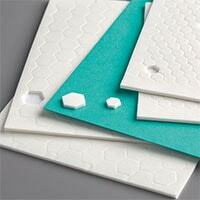 That look is also hot right now, especially for scrapbooking! I love the diagonal texture that it makes on the frame, just like an embosslit! To make it stand out more, I added some VersaMark Ink directly to the framelit before cutting the Coastal Cabana card stock. Just that subtle ink brings out the texture even more! I backed the frame with a 3-1/2" square piece of Retro Fresh DSP. 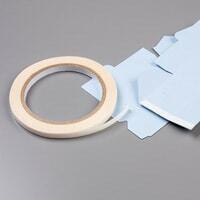 Use a little Multipurpose Glue to adhere it on the skinny parts of the frame. Sentiment Banner—I cut the So Saffron banner with the help of the Perfect Pennants Framelits. The sentiment is from the Peachy Keen stamp set, inked in Tangerine Tango and stamped onto Very Vanilla. I punched out the words with the Extra Large Oval Punch, then popped it up with Dimensionals and added a Rhinestone Jewel. 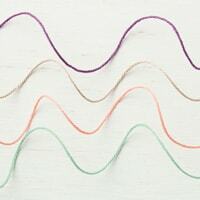 Washi Tape Banners—I folded the Retro Fresh Washi Tape over onto itself around a strip of White Baker's Twine to make the banners. After fish-tailing each of them with Paper Snips, I adhered the banner across the top with Multipurpose Glue and added Rhinestones at each end. So darling! The second card uses all of the same elements in a little bit different way. I flipped the paper inside the Polaroid and used the bold diagonal stripes this time. And, I tried a shorter washi tape banner with the ends of the baker's twine tied off. You can make either version with your Peachy Keen Class-To-Go Kit! Order The Peachy Keen Class-To-Go Kit Now! Pre-paid registration deadline is now January 25, 2014. Or, sign up for all 5 of my Spring Spectacular Classes to be part of my Club and earn Hostess Benefits! Contact me! Tonight is my Wow Techniques class, aka Stamp Club Night! One of my long-time club members, Peggy Tassler always brings a basket of her latest cards to show and I can't wait to see what she has for us this week! Peggy used the new, miniature-sized variation of the popular retired Upsy Daisy image that is currently available in the Best of Flowers stamp set. Silhouettes are great for sympathy cards—so serene! I love the White, Crumb Cake and Black color combination. Also features: Scallop Trim Border Punch, Oval Scallop Punch, Labels Collection Framelits and Perfect Polka Dots Folder. So soft and pretty! That focal point is awesome! She stamped the Thoughts & Prayers sentiment inside an Designer Frame embossed frame and hand-cut it out. The flowers are made with layers punched from the Boho Blossoms Punch, scrunched and adhere to leaves from the Bird Punch and topped with Pearl Jewels. You can substitute the Lacy Brocade Folder for the background and Large Scallop Edgelit for the border cut. The Pearl Jewels come with lines of pearls that would work perfectly here, too! 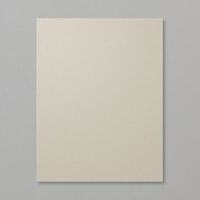 Monochromatic designs are also great for sympathy cards—Peggy used Very Vanilla. I love the Ovals Collection Framelit cut-away for the Thoughts & Prayers words, surrounded by the Perfect Polka Dots embossed texture. The Beautiful Wings Embosslit butterflies are a nice touch. I saved my favorite for last! I love Peggy's use of the Fabulous Florets flowers here! She stamped the images in black onto Crumb Cake Designer Series Paper from the Neutrals DSP Stack, then cut them out and layered them. The sentiment is from the Thoughts & Prayers set. I love this card and I may have to CASE it for an upcoming class! Did you notice that she used Thoughts & Prayers for 3 of these cards. That set is so versatile—and we've only seen the words today! There are two lovely images in that set that are just right for sympathy cards, too.